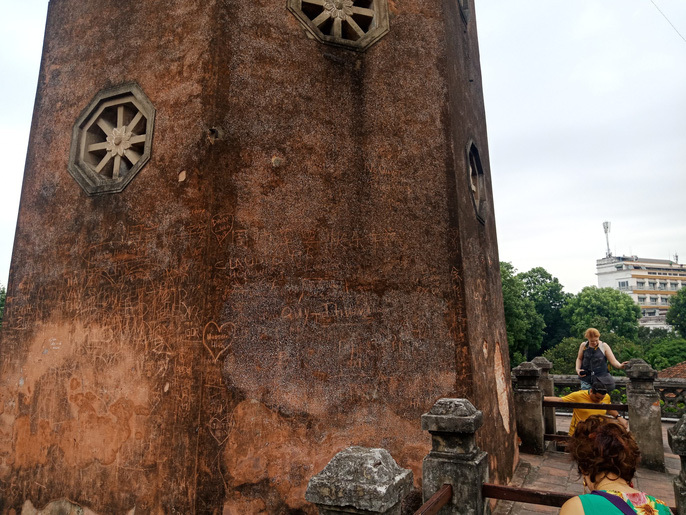 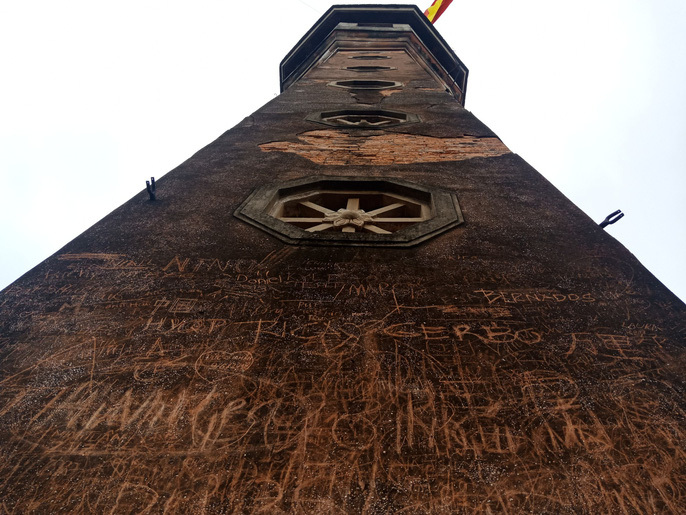 Words in Vietnamese and other languages written on Hanoi’s Cot Co Flag Tower. 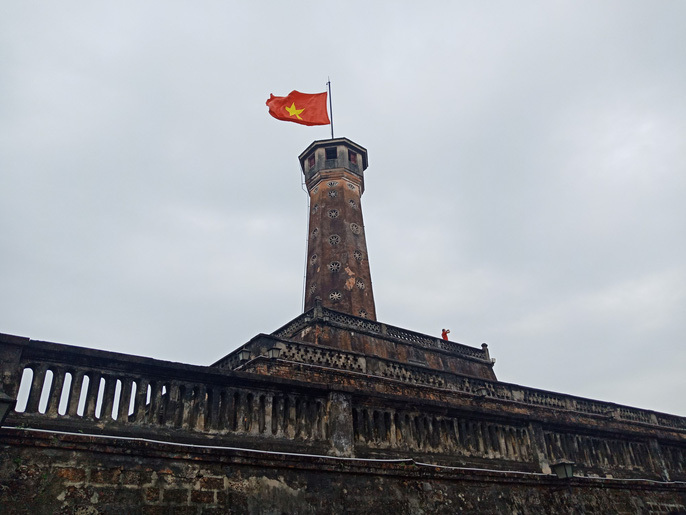 The flag tower is a popular landmark in the city. 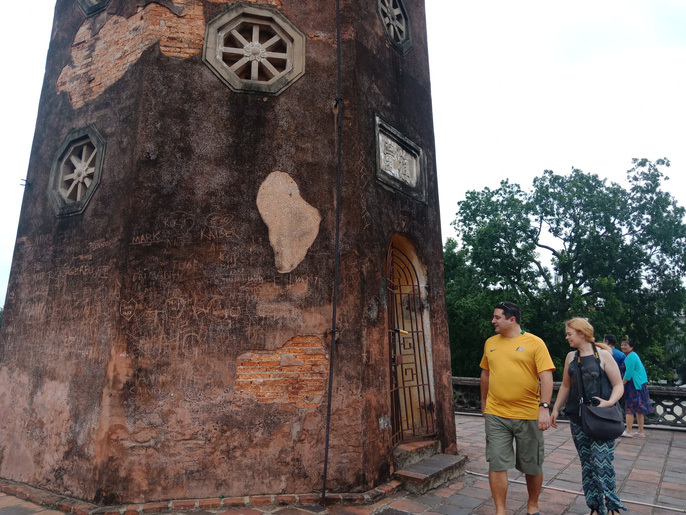 Hoa Phong Tower in Hoan Kiem Lake area suffers the same situation. 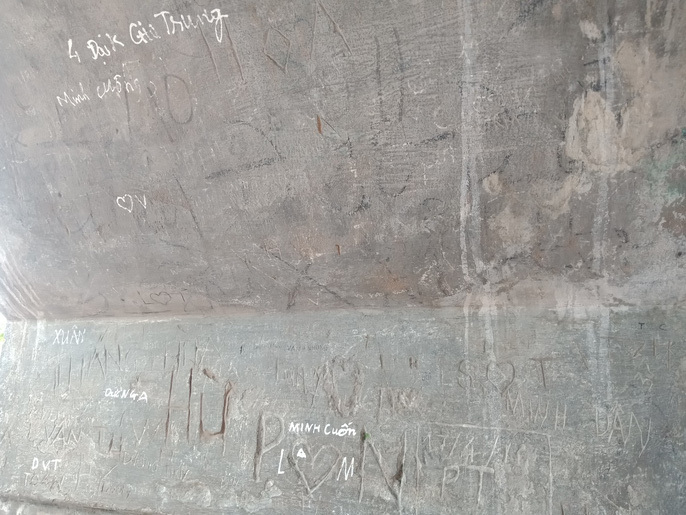 Visitors even carve words on the site. 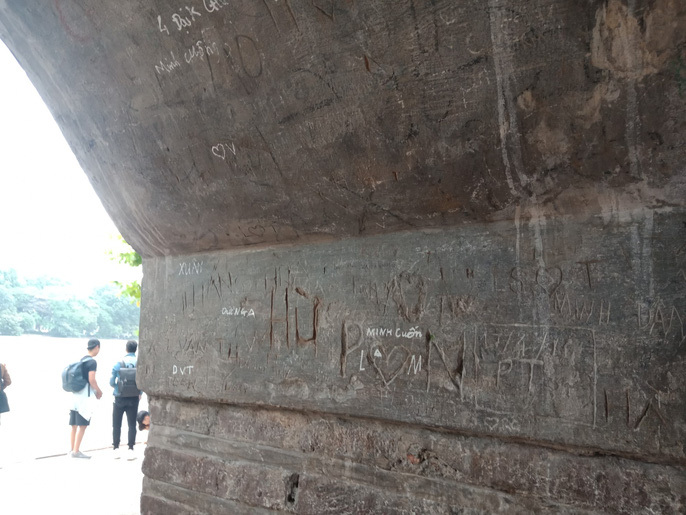 Those found defacing monuments face fines of between VND1-3 million. 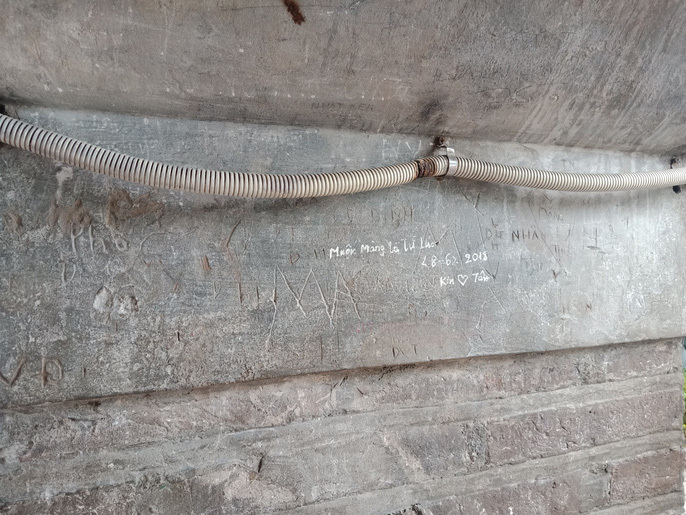 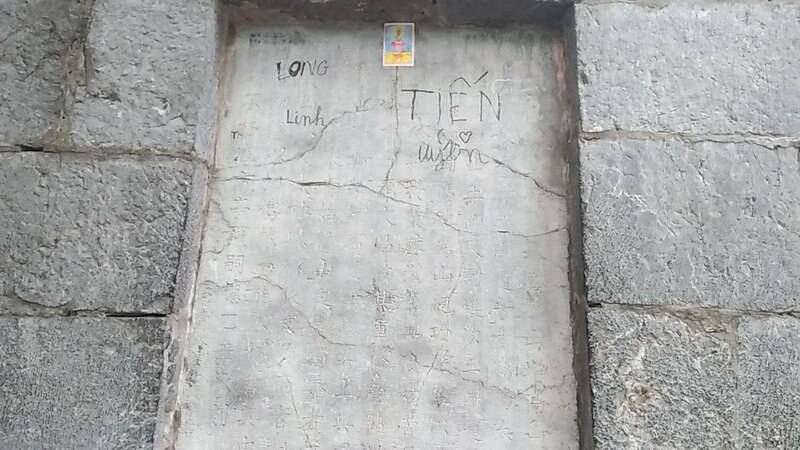 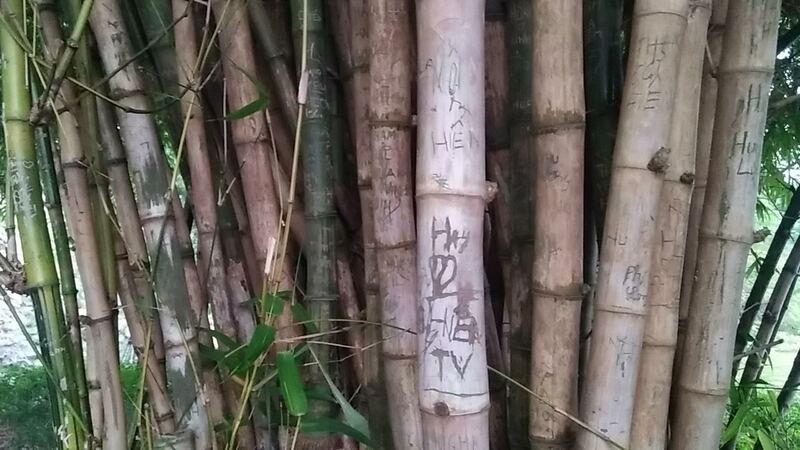 Many historical sites in Hanoi have been spoilt by graffiti.